So I don’t like the traditional guest book, so I was looking for something really unique and stumbled upon this. What do you think? Any recommendations, ideas, and opinions would be appreciated! I like the second picture best. I think it would look really pretty with different shades of color for the paper notes! 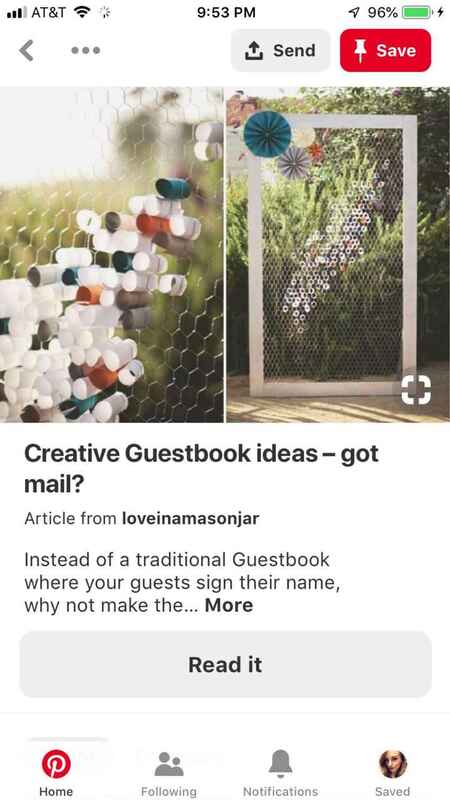 I love this idea that I found, especially since we can use it as well art after the wedding instead of a storage box, which is where I think lots of wedding guest books get lost and forgotten. I dont like the guest book either. I bought a large frame with a canvas and I'm going to have everyone write something sweet and hang that in my home after the wedding. That is a very different idea! I like it! We went with the wine bottles to open on our anniversaries.